So you have a dream from God. Maybe it’s even a big dream. Now what? Perhaps it’s a new ministry, program or facility. How does the dream become reality on the ground? Although many factors come into play, chief among them is a sufficient source of financing. The reality is that big dreams require big investments. They require substantial starting capital and an ongoing revenue stream to sustain the desired outcome. Securing sufficient financial resources is critical to success. I have yet to meet someone leading a ministry who is not also thinking about the financial resources required. Regardless of whether you are a global worker, a ministry leader, a pastor or a CEO, leadership involves solving the resource challenge to accomplish the vision. How do we raise the capital necessary to fund our ministries and new initiatives? We can begin by asking ourselves questions like: Who is sharing the dream with me? Have others been invited to shape the dream and to own it for themselves? Is community flourishing around the dream where partners work hand in hand to make the dream possible? Do I really care about potential partners’ needs, seeing them as real people looking for significance or just as sources of financial support? Resourcing your ministry is not about going to someone with your cap in hand. Instead, it’s about inviting people to make your dream theirs. As Henri Nouwen noted in The Spirituality of Fund-Raising, “[It] is proclaiming what we believe in such a way that we offer other people an opportunity to participate with us in our vision and mission.”1 Resourcing ministry is far from begging; it is, first and foremost, inviting others to be co-owners of the dream. It’s not about emotional appeals, crisis funding or loyalty support; instead, it’s about having a compelling vision and inviting people to step into the dream, engaging them to add to it and make it their own. Resourcing ministry God’s way invites a new kind of perspective, both for ministry leaders and potential partners who finance kingdom initiatives. First, in resourcing ministry God’s way, partners are invited into a new and different perspective toward their resources. Money, instead of being hoarded in isolation, is shared freely for kingdom purposes within the context of relationship. Instead of Mr. Scrooge being holed up in his lonely, empty life hoarding his money, it is a call to generosity and community (remember the image of the giddy Mr. Scrooge sharing his wealth as he frolics with Bob Cratchit’s family!). In other words, leveraging vision and resources creates a dynamic spiritual community—a community where resource and vision converge to create the kind of synergy that makes significant kingdom impact possible. If a real connection is not being created, we may have completed a successful financial transaction, but we have not entered into a meaningful relationship. Our efforts are no different from how secular society views fundraising and funds its projects. Secondly, in resourcing ministry God’s way, ministry leaders are also invited into a new perspective about how they see money. Resourcing ministry is as much a spiritual activity as is preaching a sermon, visiting the sick or praying for the lost. It is not the same as secular fundraising. If, in raising the resources required for ministry, we come back exhausted, feeling drained and unspiritual, there is something wrong with how we view resourcing our ministry. Henri Nouwen goes on to ask, “Are we willing to be converted from our fear of asking, our anxiety about being rejected or feeling humiliated, our depression when someone says, ‘No, I’m not going to get involved in your project’? When we have gained the freedom to ask without fear, to love fund-raising as a form of ministry, then fund-raising will be good for our spiritual life.”2 Instead of shunning all things monetary, the invitation to finance kingdom enterprise is an opportunity to practise the spiritual discipline of giving. We are inviting people to be followers of Jesus in how they see their resources and use their funds. Finally, resourcing ministry God’s way requires that leaders look at ministry with fresh eyes. Just like money, ministry itself is not something to be hoarded and kept to ourselves. It must be shared with those who resource it. Gone is the day of lone owners of ministries who look for silent partners. Instead, ministry is owned by the dynamic community of partners and leaders who give shape and life to it. Yes, God’s dream may have started within my heart, but it must quickly become the dream of many who converge in dynamic community, drawing on all of the resources and gifts God has provided to make the dream a reality. Ministry leaders and partners alike—from those of modest means to those of significant means—must embark together on a spiritual journey through prayer, sacrifice and faith in God as our provider to see any dream take shape and become a reality! So I ask … Are you working alone at your dream? Have others been invited to own the dream and add to it? Is community flourishing around the dream where partners are working hand in hand to make the dream possible? To which partners are you ministering and extending an invitation to experience significant kingdom impact? The answers determine if a dream will soar or crash. 1 Henri Nouwen, The Spirituality of Fund-Raising (Vickie Adams, 1985).2 Ibid. 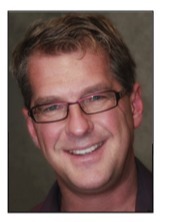 JURGEN RAUSCH is the Director of Development for The Pentecostal Assemblies of Canada.